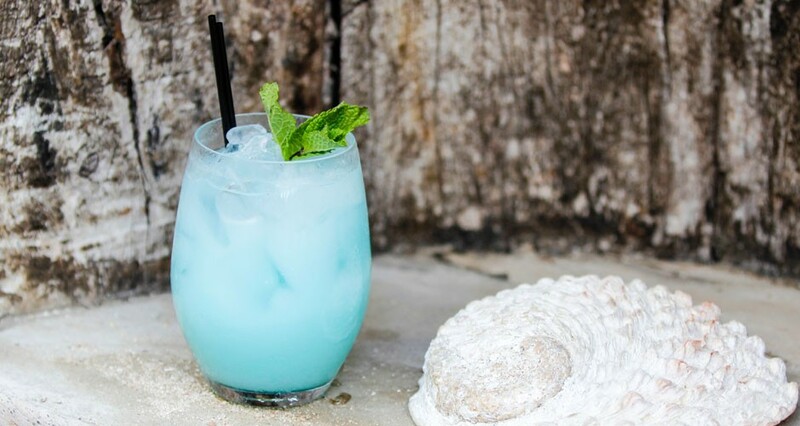 This cocktail was created by a renowned local bartender on the island of Curaçao on our request. 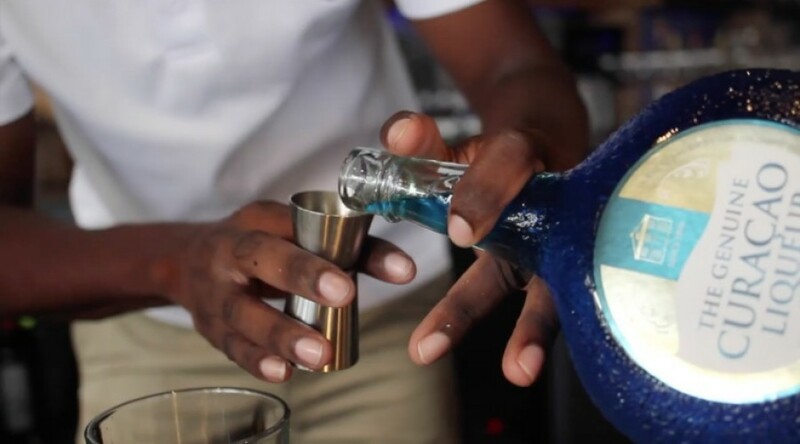 “I wanted to create a classy ‘Blue’ cocktail”, said Fabian Cleopa. After taking one sip you will agree that he certainly did. It will take some effort to make it, but the result is a smooth, creamy and balanced cocktail that looks contemporary chic. Just perfect! Add all the ingredients in a shaker, fill the shaker with ice cubes and shake well. Fill a glass with ice cubes. Strain the cocktail into the glass through a normal strainer and a double strainer to make the cocktail clearer. Add some crushed ice on top and garnish with a mint leaf.